I’m delighted to have Kimberly A. Rogers as my guest today. 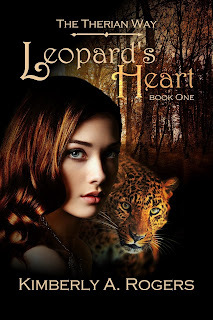 Kimberly has just released the first full-length novel in her Therian Way urban fantasy series, Leopard’s Heart. DeAnna: So tell us a little bit about yourself. Kimberly: Thanks for having me here. I’m a graduate student at Liberty University working on a Master of Religious Education. Other than that I spend most of my days (or nights) writing. DeAnna: You’re a night person like me. So when did you first realize you wanted to be a writer? Kimberly: I’ve been writing for years. I first dabbled in writing stories when I was very young, eight or nine, but I didn’t decide to pursue a writing career until I was about sixteen. DeAnna: That’s wonderful training for becoming an author. Now tell us about Leopard's Heart. That cover is just gorgeous! Kimberly: Leopard’s Heart is Book One of The Therian Way. 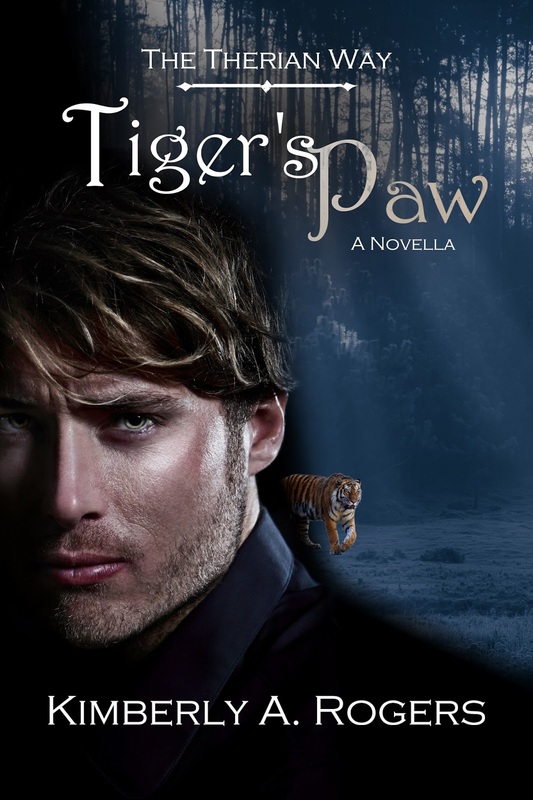 It picks up about five months after the events of the prequel, Tiger’s Paw, and deals with the aftermath. The main focus is on the hunt for assassins who are targeting the American president and also dealing with the rising tensions between pureblood Therians and those who are Elf-born, all of which contribute to the threat of revealing the existence of the Therian Way. However, Baran and Raina’s relationship with each other since they keep getting thrown together is also an important piece of the plot. DeAnna: I really enjoyed reading the book. The interaction of your hero and heroine is intriguing and complex and often hilarious. Where did you get your inspiration for the book? Kimberly: I always loved the idea of dealing with hidden races and the problems faced by the very strict and stoic character when paired with the wild, devil-may-care character. Leopard’s Heart deals with the complications of the situation when being addressed by these two very different characters who are also stubborn, unwilling to give ground, and definitely unwilling to admit if they start to care about each other (the horrors!). Baran and Raina are polar opposites in a lot of ways but they have an awesome dynamic together that I love working with in stories. They don’t make things easy for each other, themselves, or me, but they’re definitely worth the crazy ride. DeAnna: What do you hope readers remember from this story? Kimberly: I hope they remember the characters. Baran and Raina have a journey together that is strengthened or weakened by their own choices but they also are determined to do the right thing no matter the sacrifice required. DeAnna: What is your favorite scene/chapter from the book? Kimberly: Oh that’s a tough question. However, I think there is one scene in particular that I love a little bit more than the others. Well, it’s actually a short chapter. It’s in Raina’s POV, which we did not have in the prequel, and it is a dinner scene with Baran after they’re returning from the Elven capital. I love the humor displayed in this scene with their teasing each other because Baran rarely gets in on the teasing action and it’s one of the places where we really see the potential for them when they’re not at loggerheads with each other. DeAnna: That was a great scene. They’re so cute together. What inspires you to write? Kimberly: There are always stories that need to be told, reminders of the light in the darkness. I love telling those stories. I can’t not write but I always want my stories to provide a refuge, a place where good triumphs over evil even when the world seems the opposite, a reminder of how God works through people in smaller ways as well as the big, sweeping miracles. For the Therian Way, in particular, I love taking the idea of shapeshifters and Elves and other creatures and monsters from myth and legend and plunking them in the middle of a world similar to our own. The “what if” factor is wonderful. And, I love providing a clean option for Christians who enjoy urban fantasy stories with adventure and romance and plot twists but don’t want to deal with the objectionable content that often shows up in secular stories. DeAnna: Now that you’ve gone through the independent publishing process, what advice would you give writers who are just getting started? Kimberly: Don’t give up. Finish the story. Don’t worry about making the first draft perfect. All you need to do is write the story, then you can go back over it and tweak or add or hack what you need. The most important thing is to get your story written. As I’m often told by my writing buddy, “You can’t fix nothing.” One more thing: Write what you love. I know everyone says it but it’s true. If you’re not passionate about your story and you’re only writing it because it’s the current trend, you’re doing yourself a disservice. Writing what you don’t care about is a chore and it shows in your work. Trust me. I’ve read enough books that I’ve seen the difference between stories the author was passionate about and those he or she wrote because it was required. DeAnna: That’s very true. If you’re enjoying the story, your readers probably will, too. And what are you are working on now? Kimberly: Right now, I’m working on several projects. First, I’m working on Wolf’s Path: Book Two of The Therian Way. I’m very excited about this one since Baran and Raina are going after the infamous Beast of Bray Road, which is one of my favorite cryptid legends. I’m also working on two fantasy romances: One deals with Centaurs and partially based off the book of Ruth, which has an excerpt in the back of Leopard’s Heart. The other is a medieval-esque fantasy romance, which is inspired in part by the legend of Cupid and Psyche as well as a touch of The Phantom of the Opera. DeAnna: I’m always amazed at your productivity. Is there ever a time you’re not writing? If there is, what do you like to do? Kimberly: Reading, of course. But, I also enjoy hand crafts such as knitting, crocheting, and cross stitch. DeAnna: I love needlework, too! Where can readers find you on the internet? 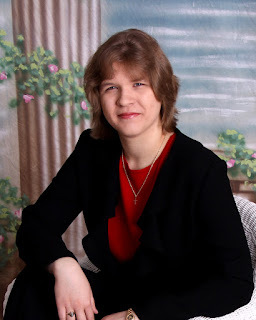 Kimberly: They can find me on Twitter, my blog where I talk writing and also review fantasy books, and on facebook at my author page where I share news about sales and also share snippets of my works-in-progress. The links are below. Thank you once again, DeAnna, for the opportunity to share about my book today. Now, please enjoy the interviews with Baran and Raina. They actually behaved themselves this time. DeAnna: Oh, Baran’s rather formidable, isn’t he? So tell me, Baran, why are you such a stickler for the rules? Baran: Because the rules are what protect us and everyone else who lives in our world. We’re Therians, we must keep ourselves from acting on animal instincts alone. Our code of life, the Therian Way, is the safeguard that prevents this loss of control if we adhere to it. Straying beyond the rules is very dangerous, not only to the one straying but also to the innocents around him or her. If we lost control and revealed our true natures to humans, we would not only be endangering our entire race through exposure but we could harm the people around us. That is why the rules are important. That is why I make it my practice to follow them as closely as possible. DeAnna: That seems wise. And what is a perfect day for you? Baran: A day without Fringe threat or disruptions. A day where I can fulfill my duties without anyone causing trouble and extra work. DeAnna: You’re definitely all business, aren’t you? But I bet the right girl can bring out your fun side, too. What kind of mate are you looking for? Or are you too busy for that sort of thing? Baran: I most certainly do not have the time to search for a mate. However, I would hope that she is a woman of honor and appreciates the Therian Way for its true purpose, especially if she is an Elf-born Therian and not pure Elven. DeAnna: Good qualities. What about Raina? What do you really think of her? Baran: If she could bring herself to adhere to proper protocol for more than five minutes, she would be far more tolerable. However, she has her own code of honor, which I respect . . . even if it’s not as closely tied to the Therian Way as I think it should. She is one of the more reasonable Trackers I have worked with despite her tendency to treat matters with far more levity than the situation calls for. DeAnna: Well, thank you for chatting with me. Now, Raina, it’s your turn. Tell me why you like your job? What don't you like about it? Raina: I like being able to help people and protect those can’t protect themselves. *rolls her eyes* Oh, that’s an easy one. All that paperwork. It’s worse with joint missions, especially if the TDS is involved. DeAnna: Oh, yes, the TDS. “Tall, dark and serious.” That describes Baran perfectly. Now how would you describe your ideal mate? Raina: He would be protective, caring, a man of honor, trustworthy and (glances sideways at Baran) have a decent sense of humor. DeAnna (also glancing at Baran): Well, good luck with that. He seems serious and sometimes a little bit angry. You generally seem more lighthearted. What makes you angry? Raina: Having my family threatened, being accused of not following the Way just because I don’t follow every little bylaw to the letter, not being able to help someone because they refuse to be helped, and being manipulated. Oh, almost forgot, and being disrespected just because I’m not a pureblood Therian or because I’m a Tracker and not a soldier. DeAnna: Sooooo . . . what do you really think of Baran? Raina (smirking): Well, he’s a bit of a stick in the mud when it comes to rules and regulations and the whole proper protocol thing. But he does have his good points. He’s honorable and protective. He could use a sense of humor transplant, though. DeAnna: Maybe yours will rub off on him. Thanks for talking to me, Raina and Baran. Thank you Kimberly for visiting the Inkwell, and best wishes on your new series and your writing career. You’re off to a wonderful start! An assassination attempt on the American president threatens to expose the existence of Therians to the Human world. Baran knows that the Fringe have become bold. In a race to find the next assassin before he strikes, Raina and Baran must travel from Washington D.C. to the Elven capital hidden in the Smokey Mountains. Rising tensions between Therians who respect the centuries-old alliance with the Elves and Fringe sympathizers who clamor to sever all ties between the two peoples make the case and Baran's relationship with Raina even more difficult to navigate. Circumstances have forced them together, but is it only duty that drives his actions? Does Raina's heart belong to her old childhood sweetheart or is the Leopard's heart still to be won? What if history didn’t quite play out the way we know it? What would stay the same? What would change? Even in a world where Elves and Humans coexist, there are secrets. Not all the old legends are accurate, but neither are they false. Hidden among the Humans are the Therians, those gifted with the ability to shift into beasts. How long they will remain unseen by Human eyes depends on how well they adhere to their code of life and honor – The Therian Way. When secrecy is vital to survive among Humans and Elves, the Therian Way offers balance. The Fringe, a militant group of discontented Therians, threaten to expose their race to Mankind. It falls to General Baran to track down and remove the Fringe Nest before time runs out. 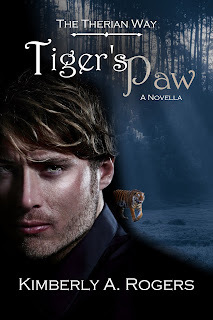 Who can he trust when the fate of his people lies in the Tiger’s paw? Kimberly A. Rogers writes in-depth reviews of Christian and secular fantasy as well as articles for Christian fantasy writers at her blog So You Want to Write Christian Fantasy? Of course, only when not in the midst of writing papers and taking exams in the pursuit of her Masters in Religious Education. Kimberly lives in Virginia where the Blue Ridge Mountains add inspiration to an over-active imagination originally fueled by fantasy classics such as the works of C.S. Lewis and J.R.R. Tolkien. Great interview, DeAnna. Funny, too. Thanks for being here, Kimberly. I really like the interplay between Raina and Baran so it should be a good read.